Established for over 50 years, Total Tyres has grown to be one of the largest wholesalers of tyres, wheels and tubes in Australia, with warehouses in Townsville, Brisbane, Sydney, Melbourne, Hobart, Adelaide and Perth. Total Tyres wholesales a large range of tyres, tubes and wheels to suit most applications. The tyre and tube range covers passenger, RV, SUV, commercial vans and light trucks, trucks and buses, agricultural vehicles, earthmovers, industrial vehicles, mowers, forklifts & ATVs. 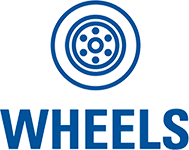 The wheel range covers cars, 4WD/SUVs, trailers, trucks and buses in both alloy and steel. We are currently supplying wheels from over 15 leading Australian brands plus importing our own house brands. Please note that we're currently redeveloping our website, with a new exciting version due out soon.